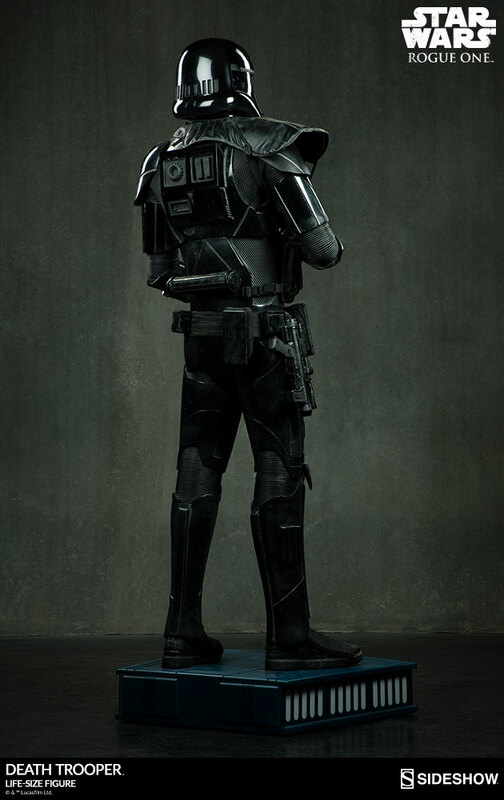 Sideshow is proud to present the Death Trooper Life-Size Figure, based on the formidable imperial Stormtroopers featured in Rogue One: A Star Wars Story. 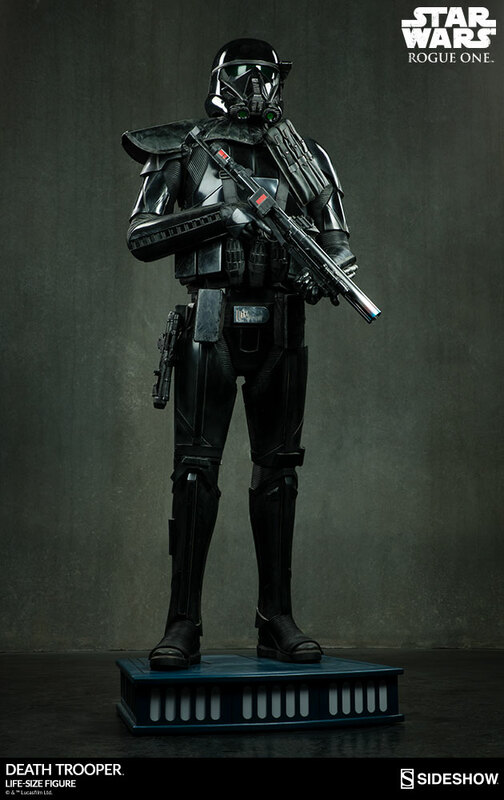 The Star Wars collectible Death Trooper Life-Size Figure stands 84” tall with an Imperial-themed base and clutching an E-11D blaster. 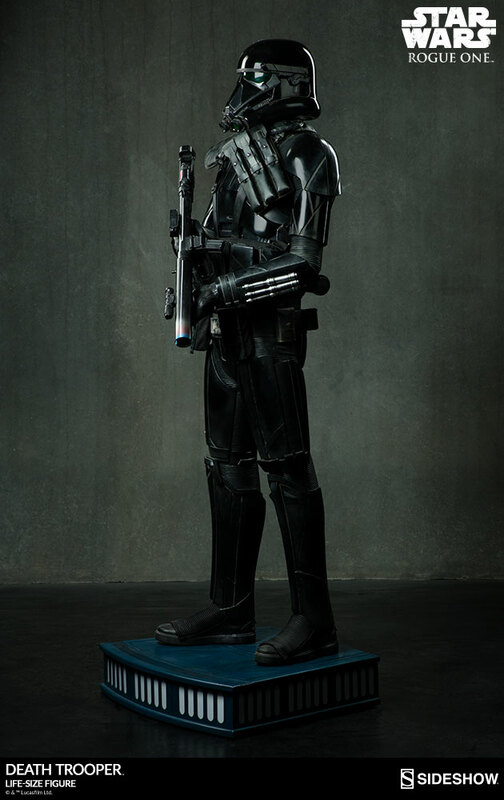 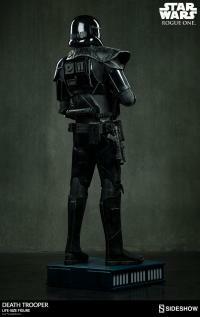 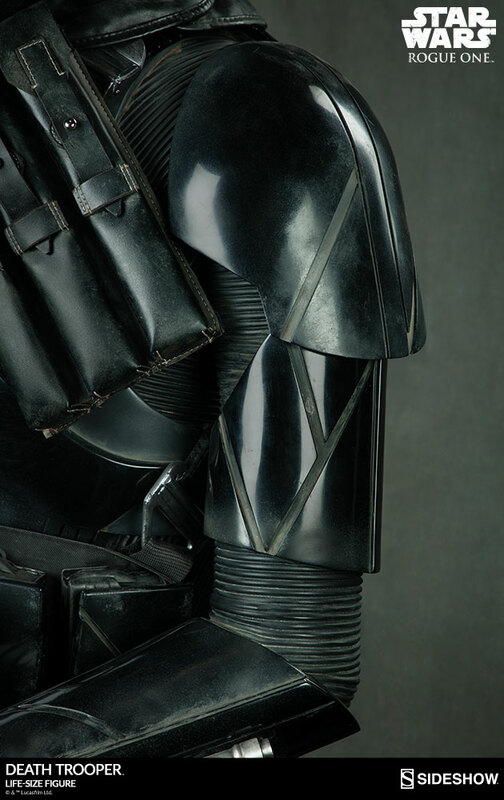 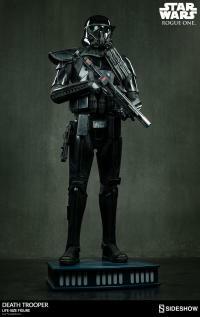 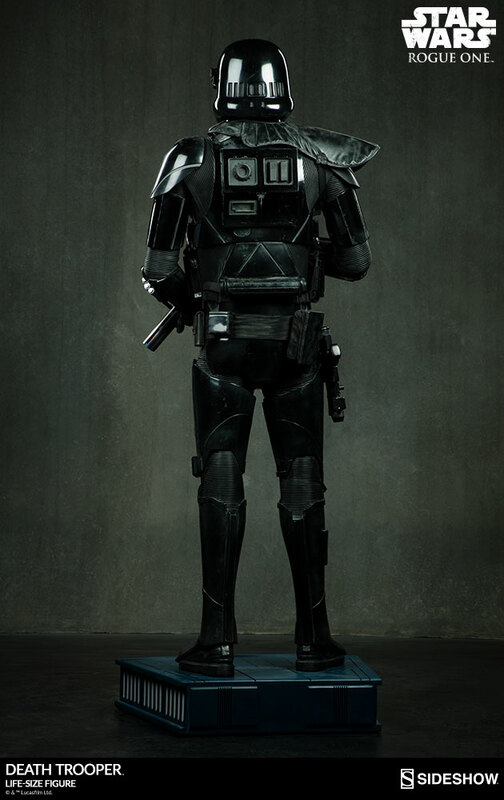 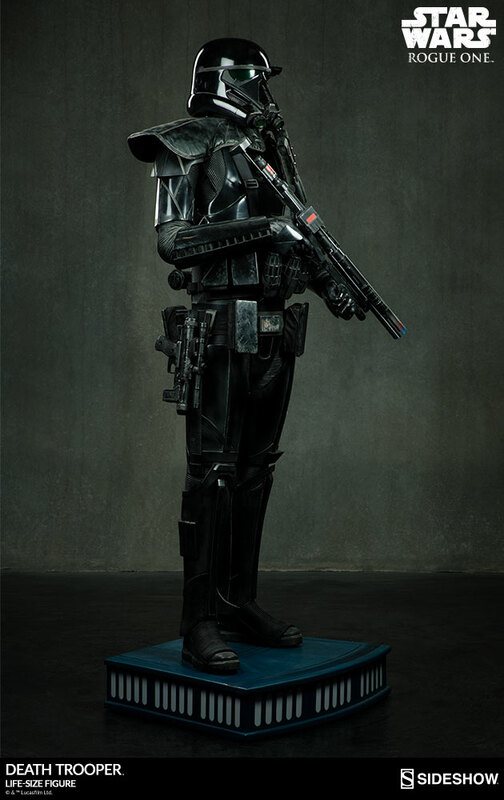 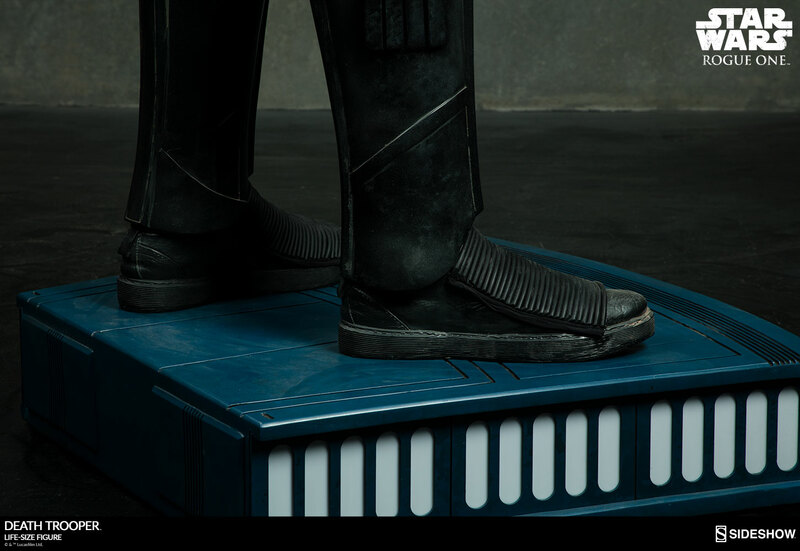 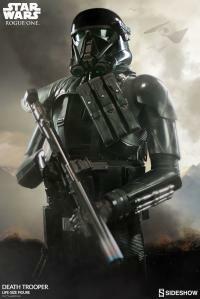 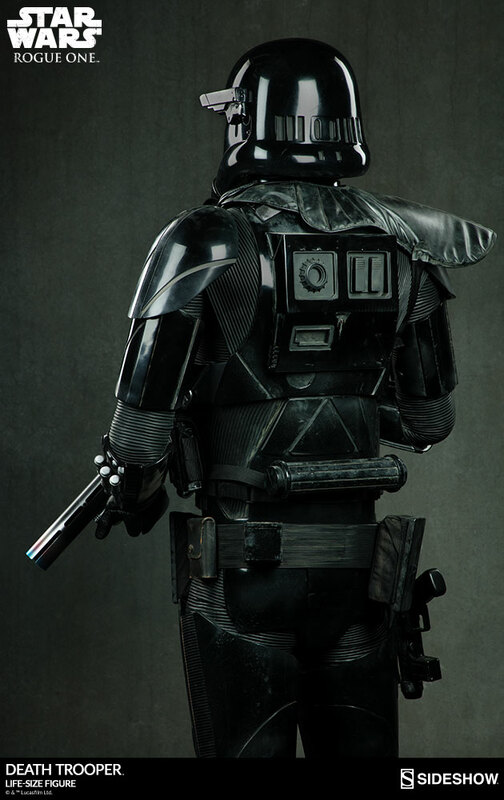 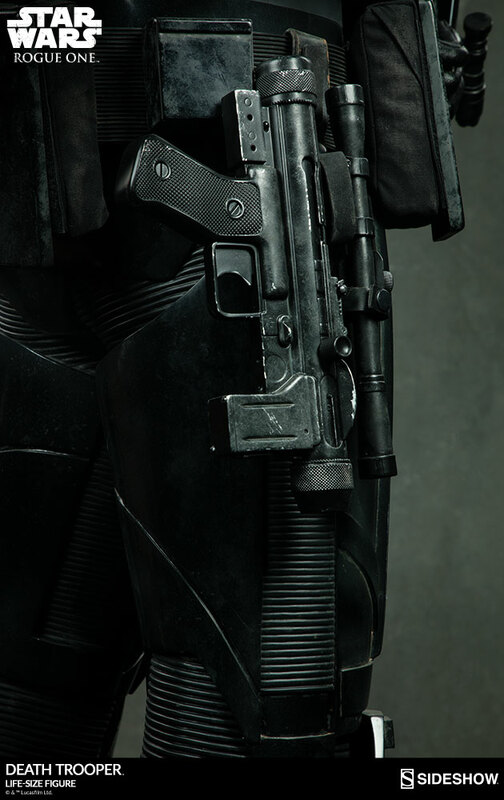 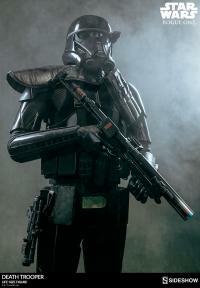 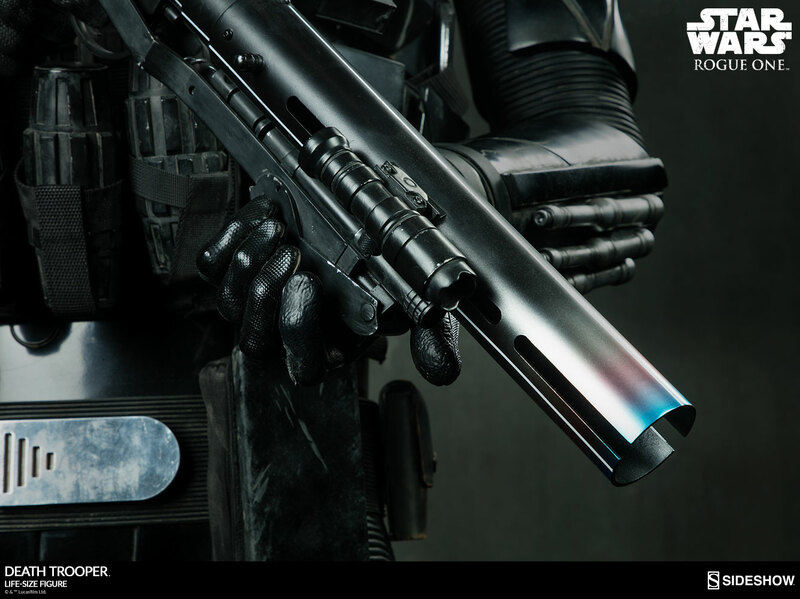 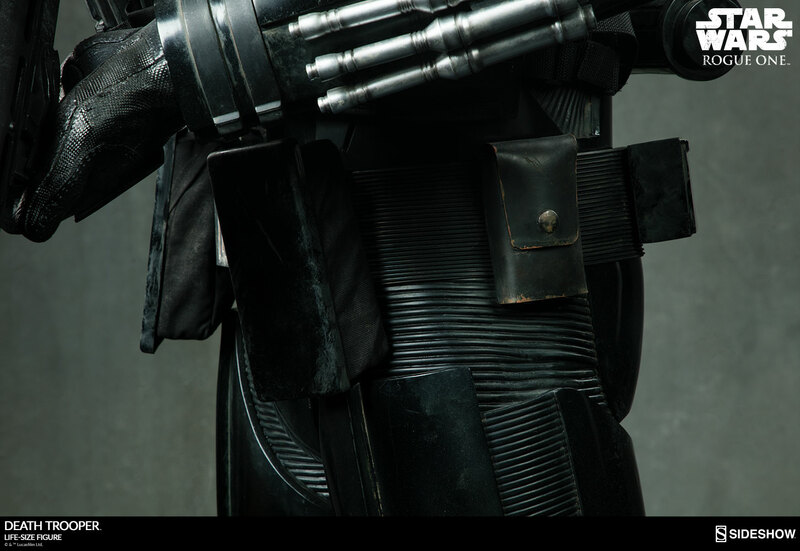 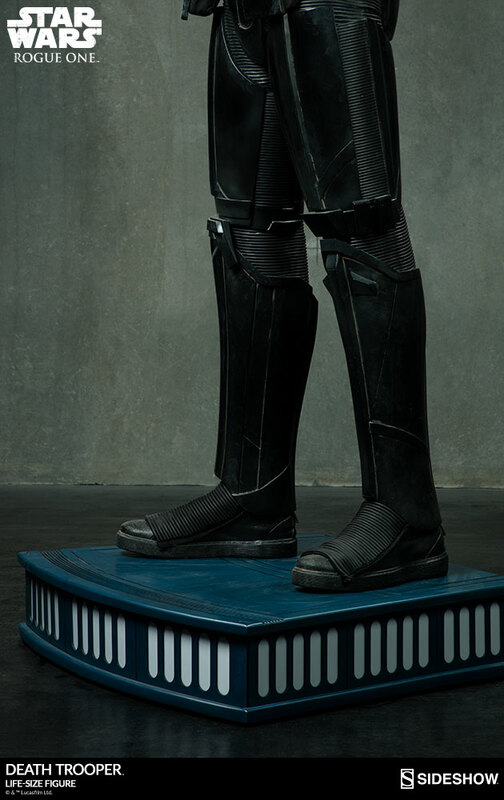 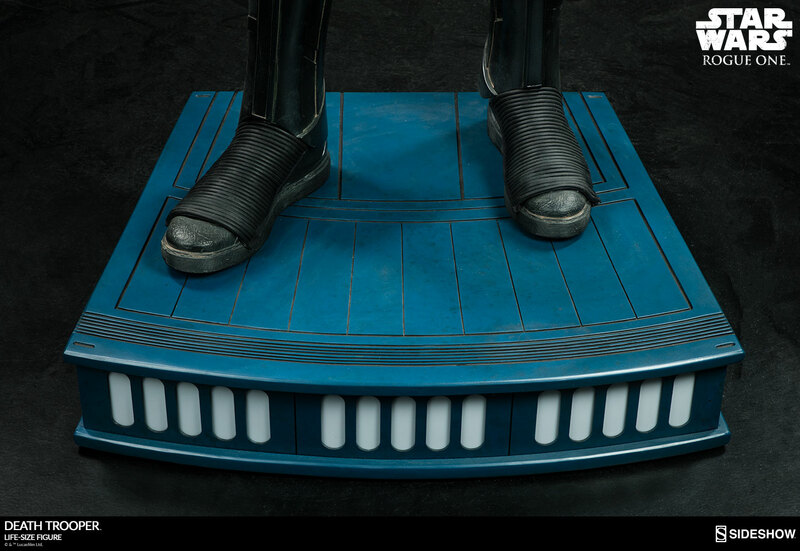 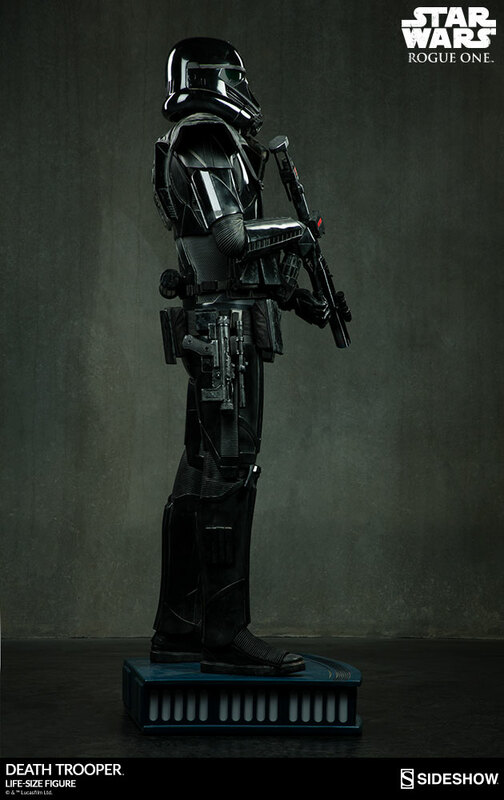 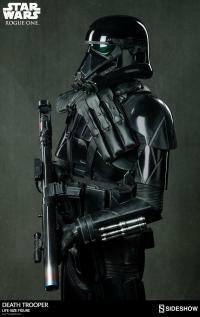 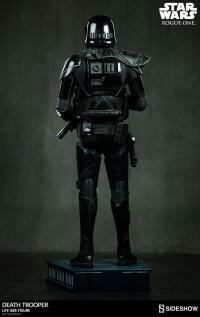 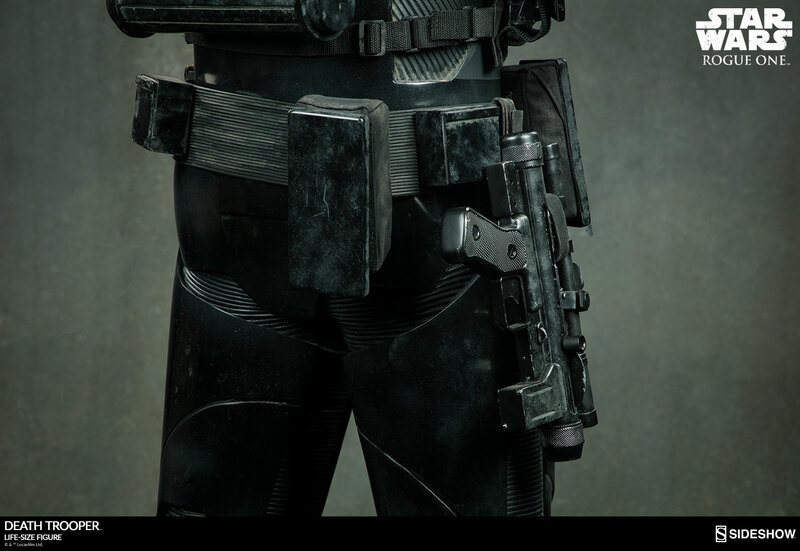 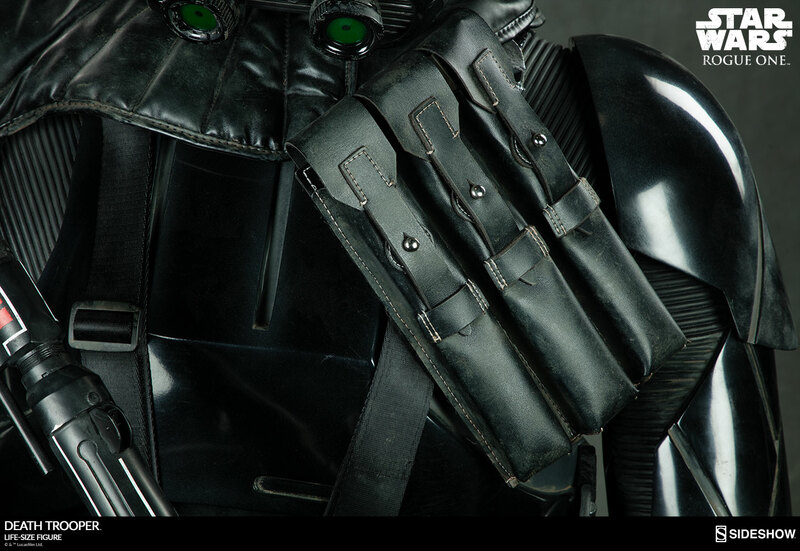 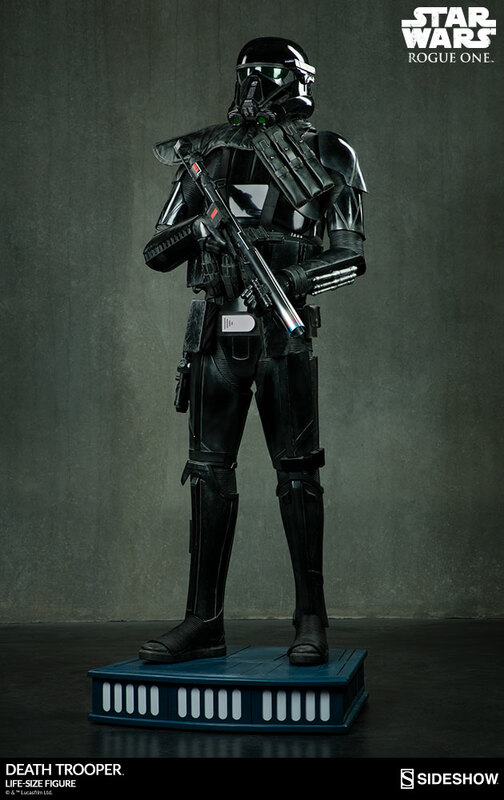 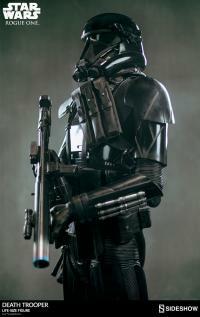 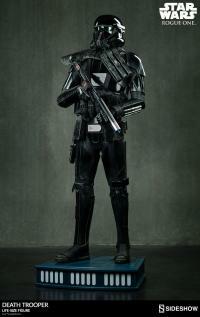 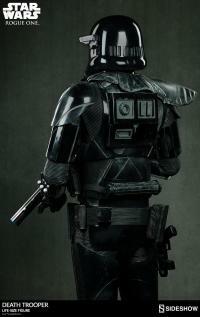 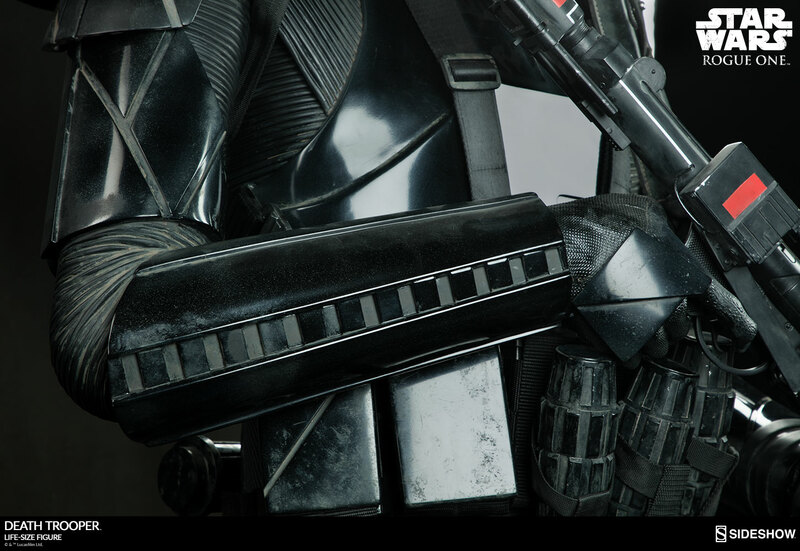 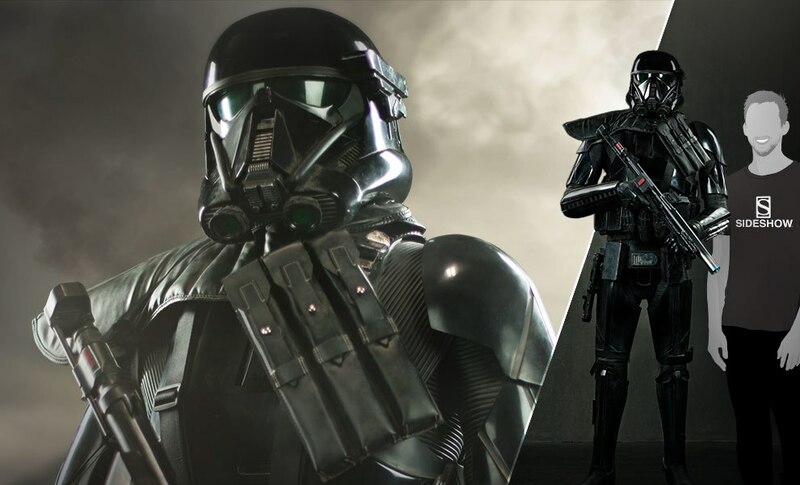 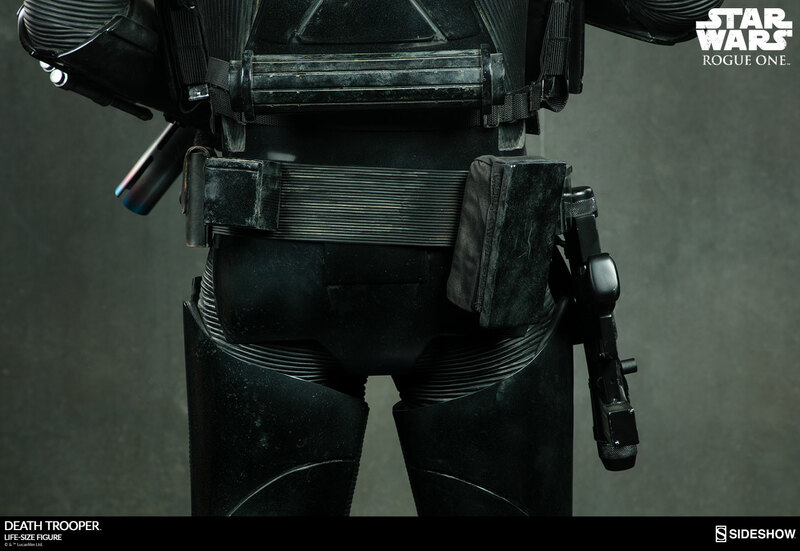 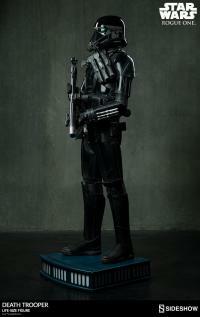 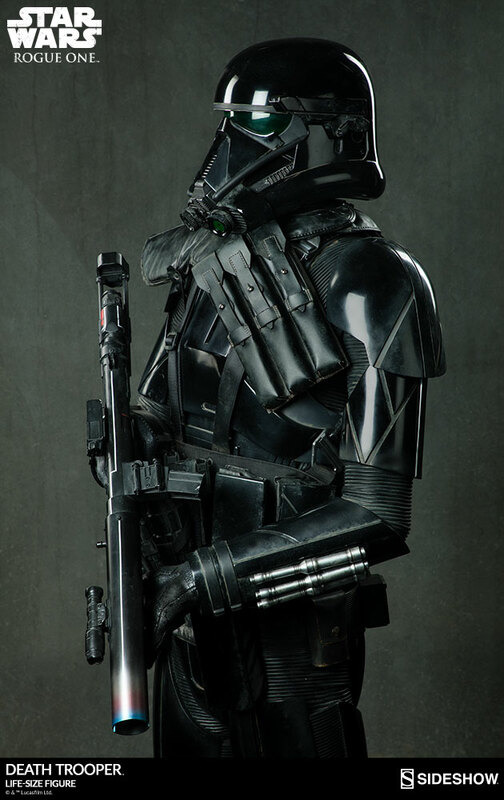 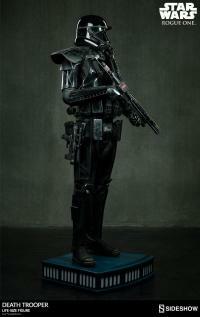 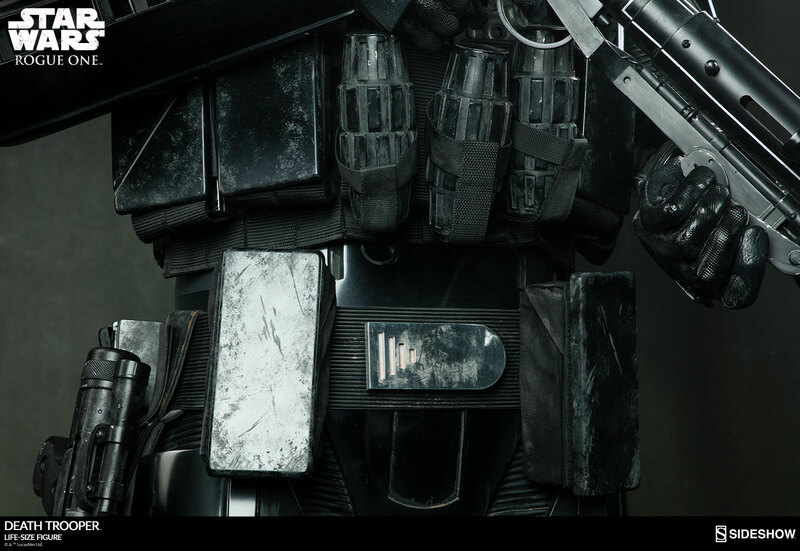 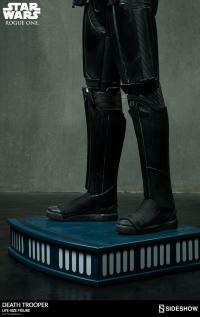 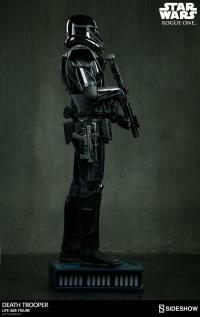 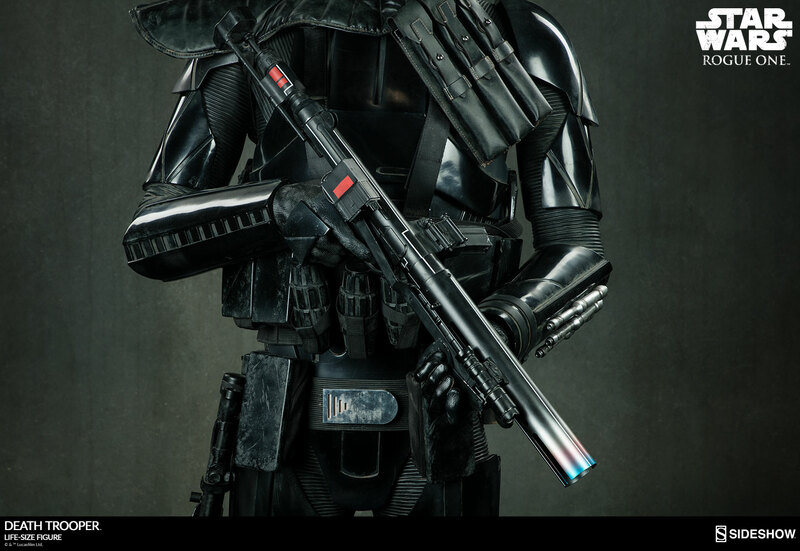 As an elite imperial soldier, the Death Trooper is outfitted in sleek black armor, detailed with weathering effects and various weapon accessories attached to the figure. 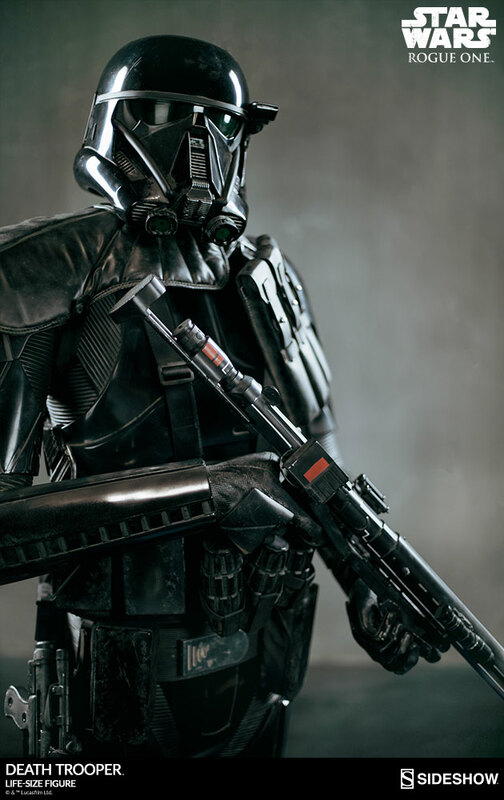 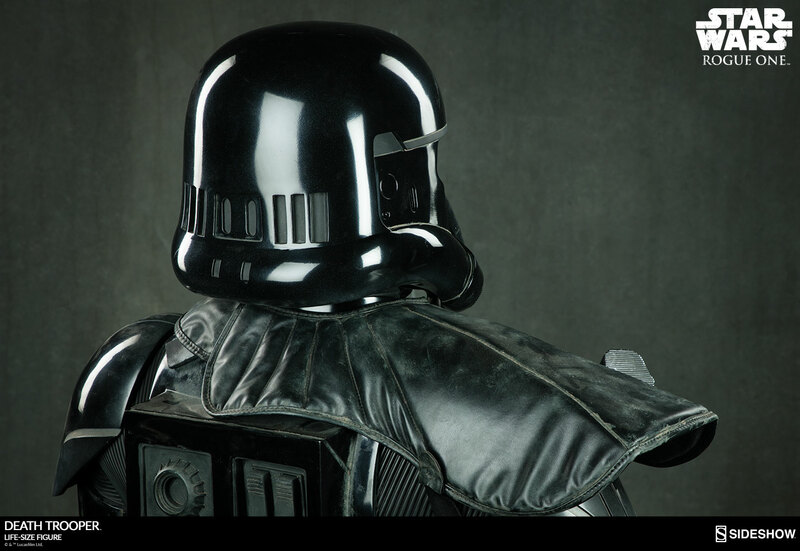 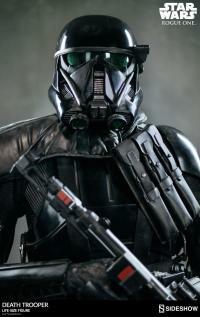 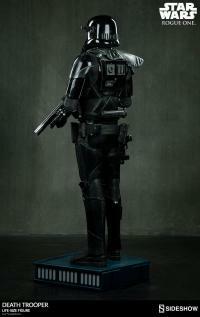 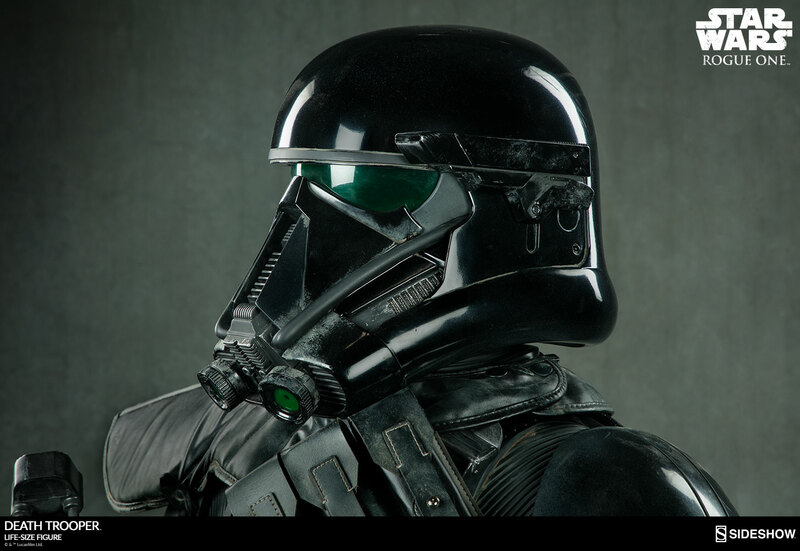 The Death Trooper Life-Size Figure is mixed media, including materials such as fiberglass, resin, and aluminum in the construction, as well as fabric elements. 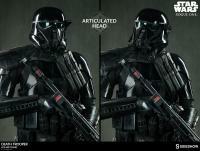 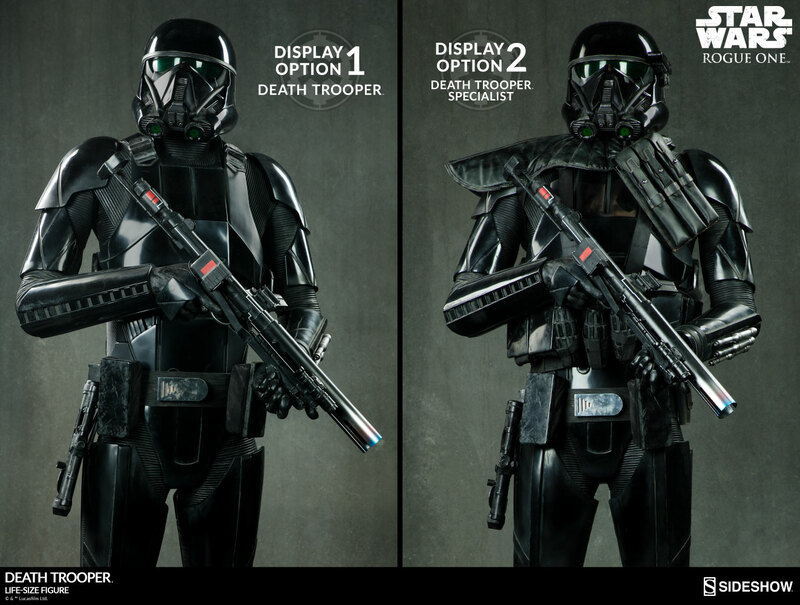 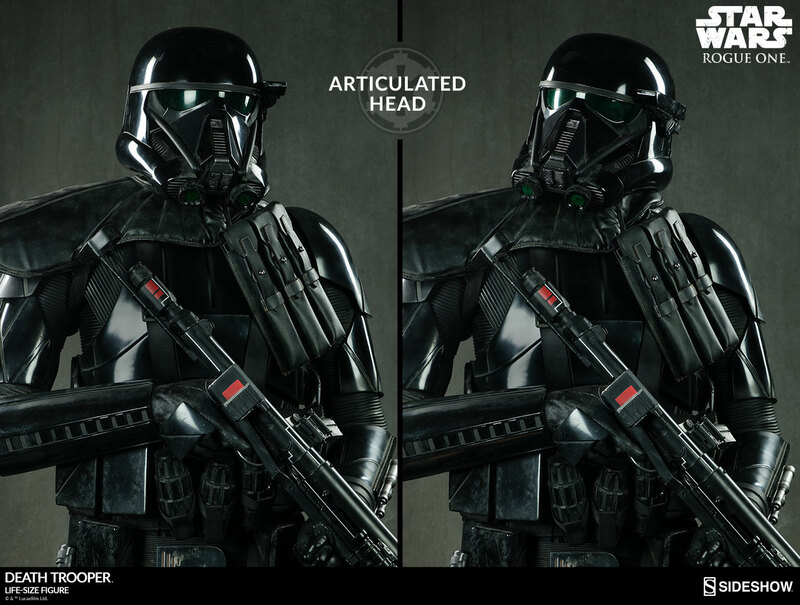 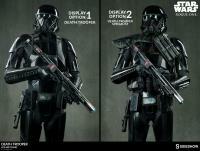 Customize your display with either the standard Death Trooper or the Death Trooper Specialist armor configuration. 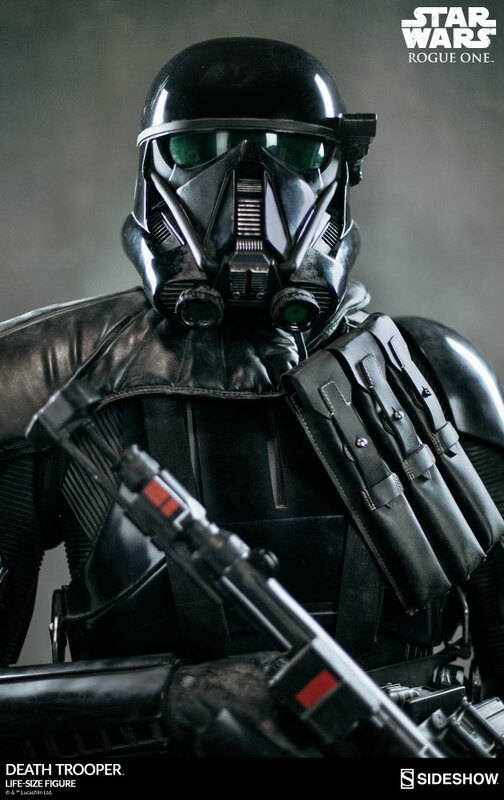 The Death Trooper Life-Size Figure features removable armor elements including a chest rig, shoulder pauldron, helmet clip, and mag pouch. 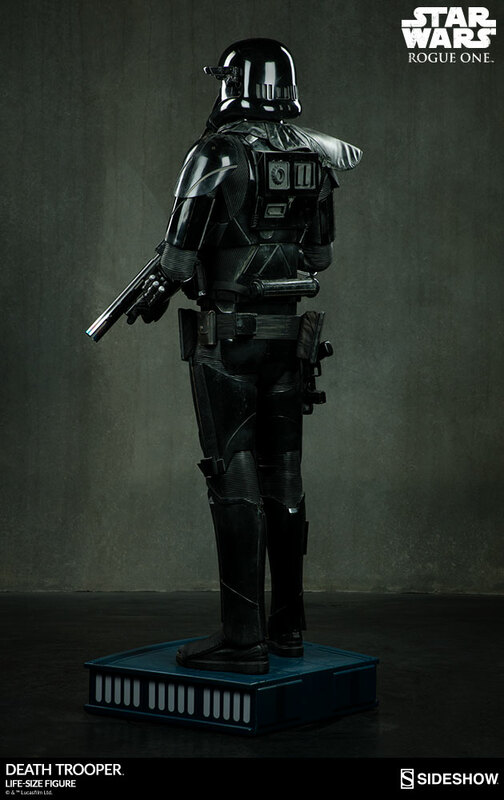 The figure also has an articulated head, allowing you to display the helmet on the lookout for rebel traitors. 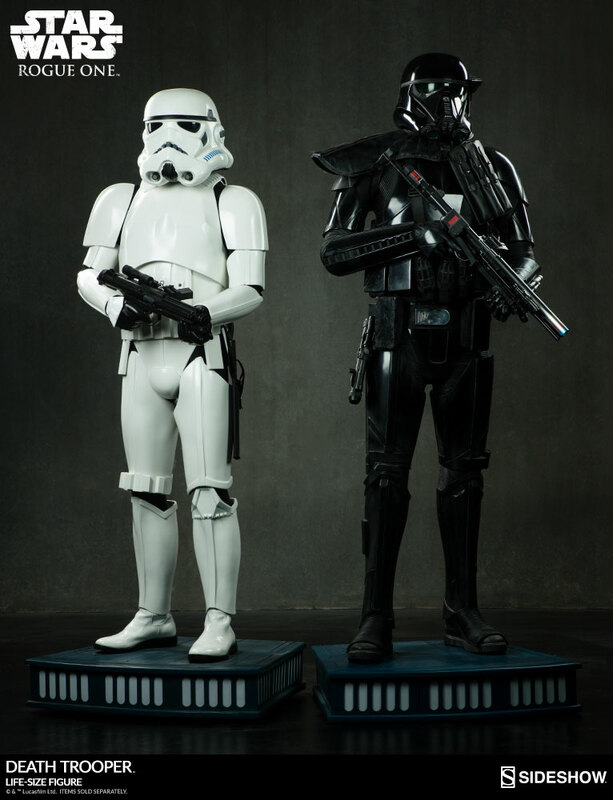 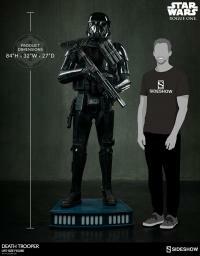 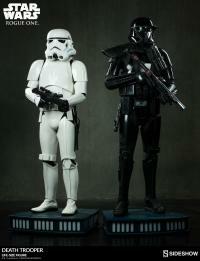 Let the Imperial army occupy your Star Wars collection and order the Death Trooper Life-Size Figure today!